Fetters was founded by Jim Stewart in London in 1976. 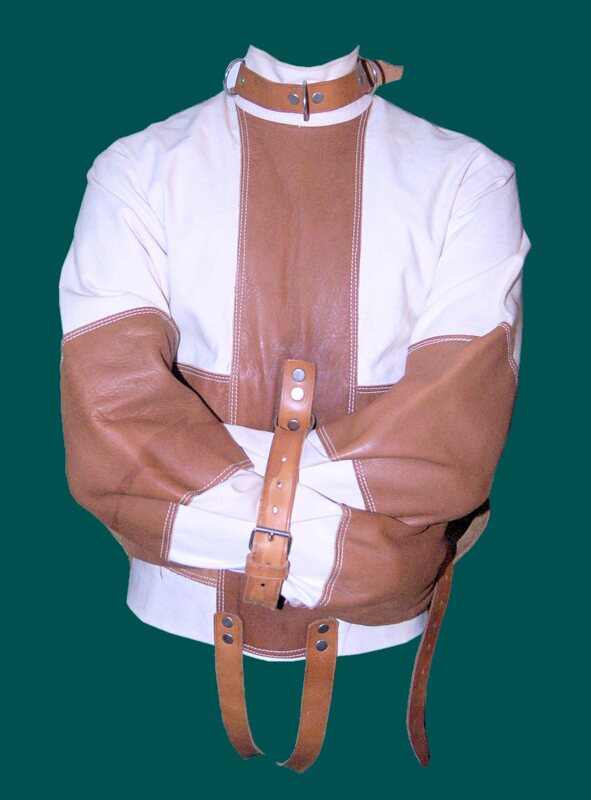 I bought my first Stewart straitjacket back in 1982. 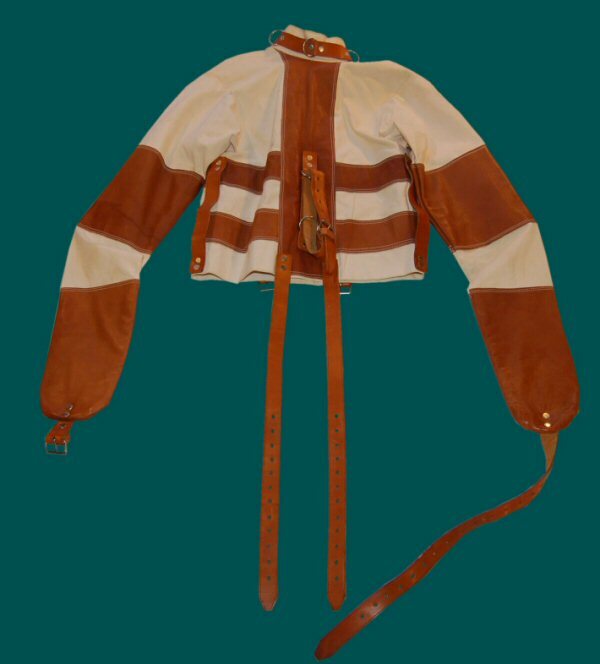 It was a leather canvas combination jacket, The jacket features side arm loops and two crotch straps. Almost 25 years later Jim Stewart was moving and had a eBay liquidation of his own stuff. This brand new was included in the sale. 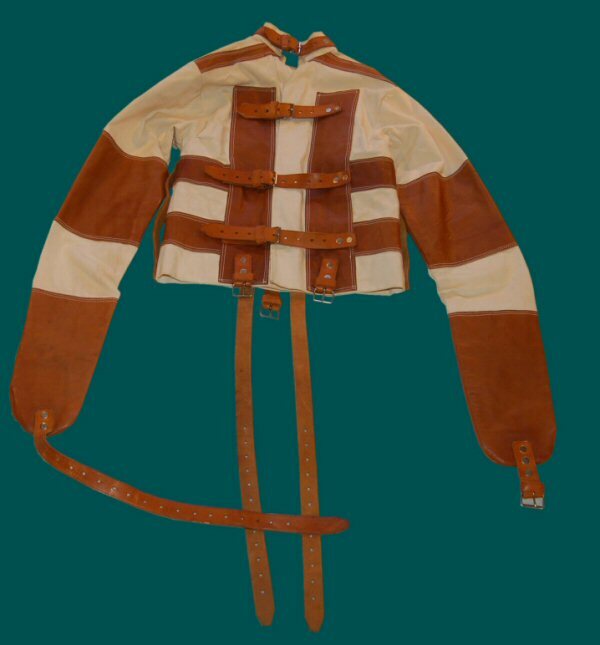 It is a beautiful jacket, in many ways much better than anything you cam buy elsewhere today. The jacket is quite secure, but who would want to get out anyway?